Jim, if you only have 5 years left, I strongly suspect that your interest deduction isn't very big any more. At the beginning of the mortgage, interest is most of the payment but by the end, principle is most of the payment. So if you are still itemizing, it might be because your real estate taxes, charity, and other deductible items are high. I suggest that as you do (or have a professional do) your tax return, you try it with the mortgage interest and then see what it would be without the mortgage interest. That will give you a good idea of how to proceed. BTW, some will say "that is cheap money and you can make more than that over time by investing it." I say the "feel better" part of your question says it all. I will have about $40000 in Social Security and an RMD of about $20000 this year do I have to pay estimated qtly taxes. I think there is a heuristic of take 50% of the SS and add the RMD and if it is over $32K I must pay est taxes. Is that right? Dr. Peters, model this when you do your return for 2015. Remember, you can always have withholding taken from your social security OR your RMD. And you can hold onto the tax money until the end of the year if you do this. For instance, let's say you will owe a total of 5k in taxes (per the results when you model this). You can take an RMD of 15K at any time of the year without any withholding. Then you can have another RMD for 5K in Dec and have it all withheld for taxes. Withholding is treated as if it were paid throughout the year even if it is all taken in Dec. BUT DON'T FORGET THAT SECOND RMD. Jim - I agree with my colleagues and Bobbie especially brings up a great point! Many times the peace of mind of owning your home outright will trump a little bit of tax savings. Dr. Peters - I agree with Bobbie. You wan withhold enough in tax from SS and the RMD that you shouldn't have to pay estimated taxes. Actually, I have a question that I haven't sen addressed. I have my rollover from a previous 401(k) with a Fidelity IRA. Included in the rollover is a Dodge & Cox stock fund. I'd like ton add to this fund but Fidelity charges a transaction fee. Financial advisors recommend consolidating investments & that's what I'm trying to do, so how can I continue to consolidate my investments & still have the choices that I want in my IRA? Jim and Tyler, i tell clients there is a right answer a a good answer and sometimes they aren't the same. The "right" answer is all about the technical bits and pieces but the "good" answer serves what you perceive as your overall well-being. HML-Dodge & Cox does charge a transaction fee at many brokerage firms, but the overall fund expenses are very low and it is a great fund company. In cases like this I would just avoid small transactions in that fund (less than $10k). While it is important to be conscious of fees, in some cases it is worth paying a small transaction fee for a great fund. Tyler, it is knowing stuff like that which will separate human advisors from robo advisors. Robos can certainly serve many technical functions but people are people and addressing that one issue often brings the most value to a relationship. HML - If the transaction fee is applied for a monthly contribution, you may want to use a similar fund without the transaction fee. Sometimes custodians will waive the fee for regular monthly contributions but apply it for one-time transactions. Check with Fidelity. The fact that you're paying attention to the fee side of the equation is very smart. HML, Fidelity might charge a transaction fee on a single purchase. BUT they might allow you to automatically make purchases on a monthly or quarterly basis without a transaction fee. HML - Balancing costs and convenience is certainly easier said than done at times. As others have mentioned, many brokerage firms offer discounts on recurring transactions of the same amount and/or mutual fund. If you're set on a particular fund or fund family, you might also consider checking to see if that fund family allows you to open an IRA directly with their firm. Another option is to shop around and check out other discount brokers to see if the fund or fund family you want is available at another firm for lower or no transaction fees. Should most have at least a small amount in a REIT fund for diversification? Jim, some of the other holdings you have may include REITS inside of them. Indeed, I can do a portfolio report for a client and even thought they don't own a REIT, they have perhaps 2-3% in real estate via another fund. For clients who have a lot of real property, we don't usually use REITS. For clients who own at most their home, we might. MAKE SURE it is a publicly traded REIT if you do decide to use one. I have an an old 401K that has been rolled over to an IRA account within Vanguard. My question is to weather i am aloud to contribute to the Roth portion of that as part of my $5500 a year max or start up new Roth IRA account altogether. Jim - There are conflicting views among advisors on whether REITs should be considered a separate asset class or not. I personally allocate a small portion of my client's portfolios to REITs, but it is just a small part of an otherwise globally diversified portfolio of various asset classes (e.g. U.S stocks, international stocks, emerging market stocks, U.S. bonds, global bonds, etc.). As Bobbie mentioned, if you do include REITs in your portfolio, make sure it's a publicly traded REIT! Ryan - Assuming you're otherwise eligible to contribute to a Roth IRA, then as long as you don't contribute more than the maximum allowable amount, you should be fine. Assuming your rollover account with Vanguard is a traditional IRA (e.g. pre-tax dollars), then you'll have to open up a new Roth IRA for post-tax contributions. The government won't let you stick Roth IRA contributions into a Traditional IRA. I'm also assuming you haven't contributed to a traditional IRA (outside of the rollover). If you have, then you'd have to make sure your combined total IRA contributions between the traditional and the Roth don't exceed the annual max. My husband and I are playing catch-up and have 10 years to retirement. I have about 6K of shares in stock that came from demutualized insurance. I'm struggling to decide whether to cash it in, pay apx. 20% tax because it has zero cost basis, or hold on to it. I'd like to put it into something more aggressive since At best the dividends have earned 3% over the past 15 years. I have 10 years til retirement and our short term goal is 70% stock, 30% bonds. We will adjust over the next ten years. Any advice? ps I would invest the funds in a traditional ira. 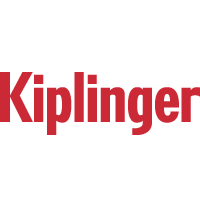 www.kiplinger.comLow inflation is keeping the contribution and income limits mostly the same as in 2015.
jillch - If I were your advisor, I'd want to know what % of your portfolio these shares represent. In other words, don't let the tax decision impact the investment decision too much. If having the proper asset allocation and being properly diversified means getting rid of a good portion of the stock, it might be time to get rid of it. A financial planner recommended setting up an irrevocable trust and then have the trust buy an insurance policy to cover anticipated estate taxes anticipated taxes above the federal and state limits. He said I needed to buy a universal life policy, not term insurance. Why is this? Jill, do you meet the income requirements/participation at a workplace retirement plan needed to be able to deduct your contribution to a traditional IRA? If so, the deductible contribution should offset the taxable gain. Also, know that I have seen many couples save so much in those last 10 years before retirement (and worry about the ones who didn't have children until late and think they will retire with kids in college:-). Be diligent with the catch up and you should be fine. Don't take more risk that you need to with your portfolio. This would be a great time to see an advisor (many work hourly) to work through a goal funding plan. That should tell you how much you need to save and how you should invest to achieve the best probability of success. L2 - It's possible your advisor sees a need for permanent insurance coverage to cover anticipated estate taxes. Does the advisor work off commission? If so, I'd encourage you to get a second opinion from a fee-only advisor, possibly on an hourly basis. This person won't accept kickbacks from third-parties like insurance or investment companies so you can rest assured if they recommend a particular product, it's in your best interests. Check out www.napfa.org to find an advisor near you! Have any great links/information for mid 30's married military family pertaining to retirement? I contribute 5% to get a co match (FERS employee) then put an additional 5% in the new ROTH TSP option, both are in L2050 target funds. She contributes 5% to her 401(k) Vanguard 2045 fund and instead of opening a "civilian" ROTH IRA, we were thinking about beefing up my ROTH TSP IRA to 10% to take advantage of the extremely low TSP fees. Any and all information pertaining to unique retirement situations for military families is greatly appreciated.